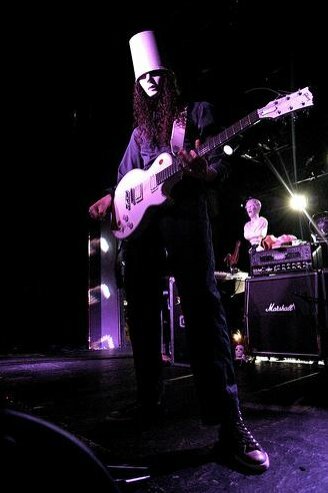 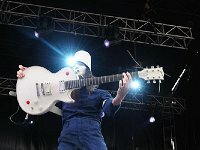 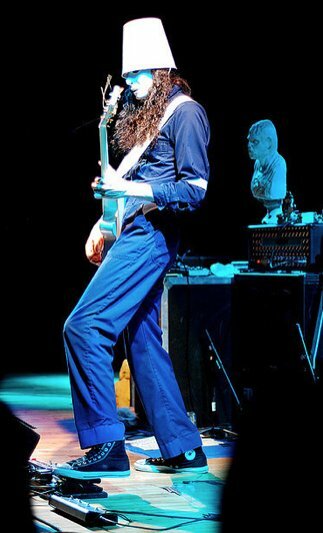 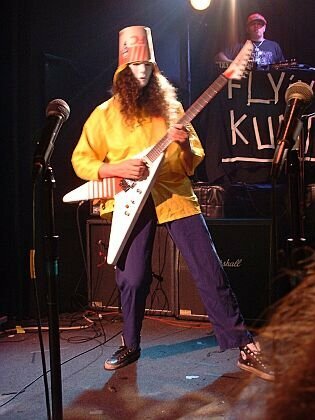 Photo gallery of Buckethead wearing black high top chucks in performances and off stage. 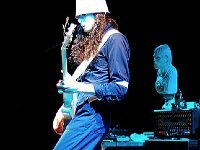 1 Buckethead Posed shot of Buckethead. 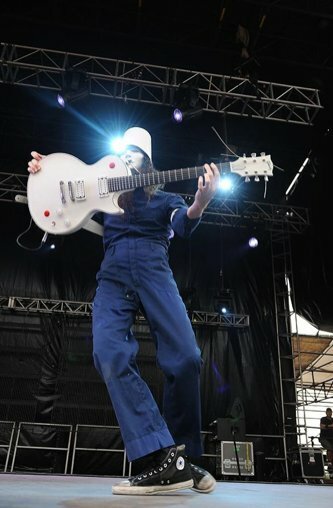 2 Buckethead Buckethead performing in his chucks. 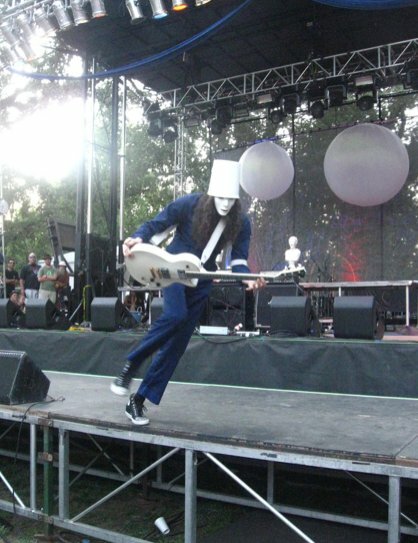 3 Buckethead Buckethead showing off his skills in his chucks. 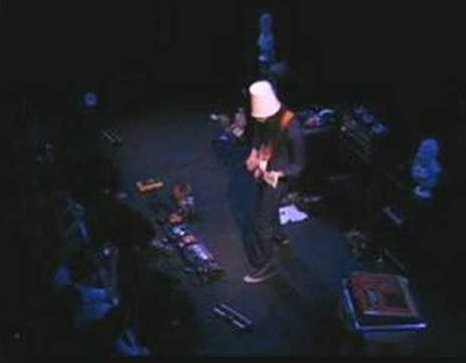 4 Buckethead Buckethead in performance. 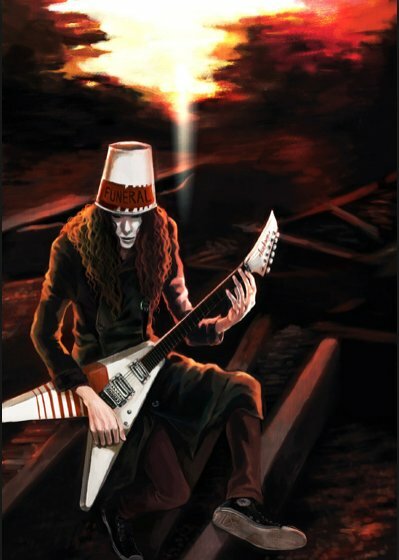 5 Buckethead Posterized photo of Buckethead. 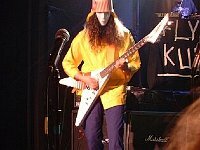 6 Buckethead Buckethead in performance. 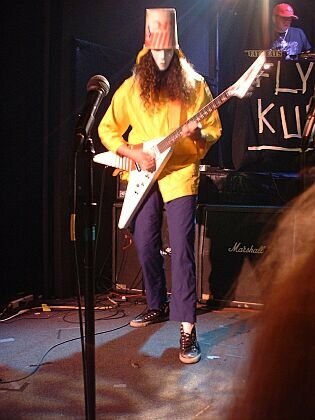 7 Buckethead Buckethead in performance. 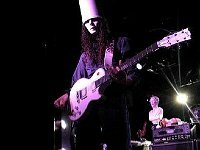 8 Buckethead Side view of Buckethead in performance. 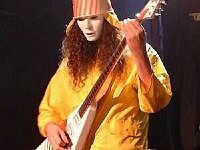 9 Buckethead Buckethead showing off his guitar. 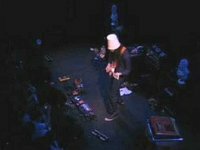 10 Buckethead Buckethead running across the stage. 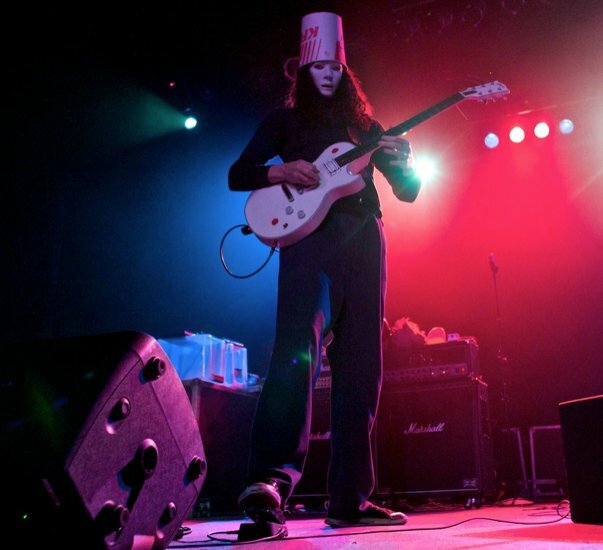 11 Buckethead Buckethead performing on stage. 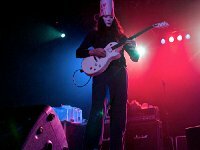 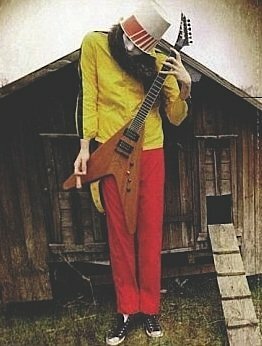 Brian Patrick Carroll (born May 13, 1969), better known by his stage name Buckethead, is a guitarist and multi instrumentalist who has worked within several genres of music. 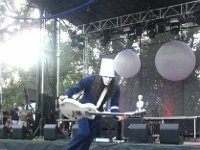 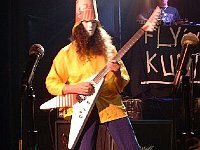 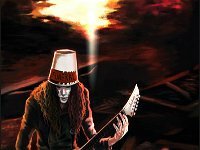 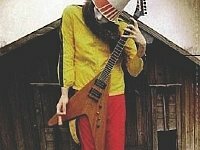 Buckethead is famous for wearing a KFC bucket on his head, emblazoned with an orange bumper sticker reading FUNERAL in capital black block letters, an expressionless plain white mask which, according to Buckethead, was inspired by his seeing Halloween 4, and well worn black high top chucks.